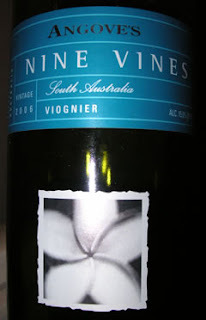 Apparently I am the only one using Cellar Tracker who has this Viognier from South Australia, which is a shame because it is a darn good bottle of wine. This bottle came from Domaine547, cost $11.99, weighs in at 15.0% alcohol and is finished off with a screw top. The particular page for this wine can be found here. I drank this over the course of three evenings and it remained pretty consistent. Aromas: Apricot, honeysuckle and flowers. Similar on the palate. On the first night the main impression was grapefruit mixed with lemon lime but after some airing and on the 2nd and 3rd nights, apricot was prominent, giving way to honeyed tropical fruits while the grapefruit disappeared. This wine has a nice, lush texture with balanced backing acidity, and lots of fruit leading to a lingering tropical fruit and herbal finish. Although the label said the alcohol content was 15%, it was not at all apparent. The only "negative" I have is that the wine at times seemed slightly "sugary" as opposed to having really pure fruit but like I said, that impression was very slight. Lovely, full aromas, very flavorful and it has good varietal character. This wine rates two thumbs up without question. At $11.99, it's got excellent QPR. *** By the way, in my previous post I mentioned getting a bottle of Argan oil for Christmas. I haven't tried it yet but I did open it to take a sniff. Mmmmm, this is nice. Concentrated, rich aromas of roasted nuts. My wife said "sesame oil" and it does have that component also, but it is much richer and more complex. There's more to it than the nutty component but I would say the first word that comes to mind when smelling this is "rich." This is good stuff! I find it surprising that nobody else on cellartracker has tried this wine! It's not like it's a low production product. 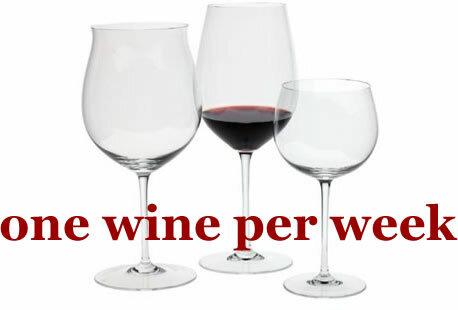 Though in looking on Wine-Searcher I see that only six retailers carry the wine. Strange, when I selected this for the store it just didn't seem like I was going that out on a limb. Though, since it hasn't been rated by the major wine press I suppose that's the equivalent of a wine buyer going out on a limb these days? I guess the power of the press makes a difference? This wine needs more publicity because it is definitely worth buying, especially at that price. Thanks for recommending it!